In the event you are running a lab/demo for Azure ASR (Azure Site Recovery) and want to use the latest and greatest Windows 2016… STOP! 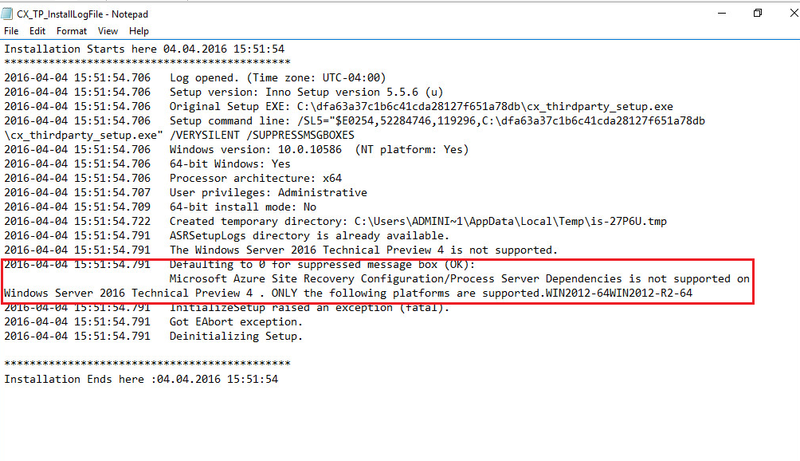 Turns out Windows Server 2016 – Technical Preview 4 (TP4) is not supported at this time. So, hopefully you read this and don’t waste your time, like me. 🙂 Note, Windows Server 2012 R2 is supported, and works just fine (obviously). 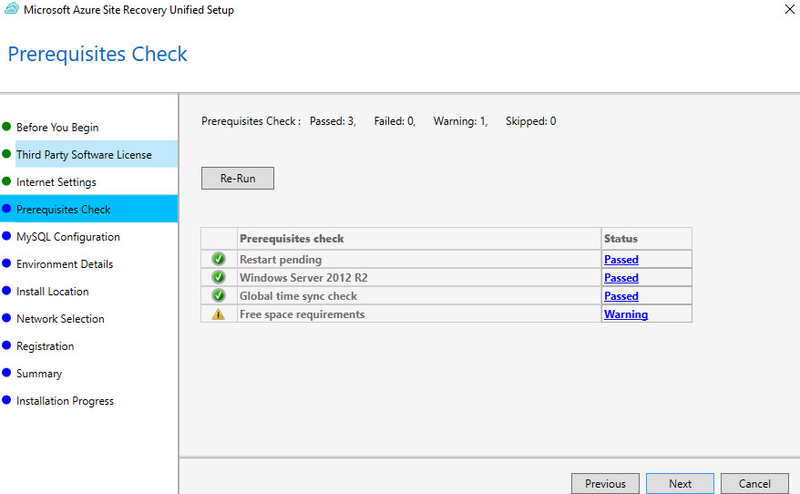 I will (soon) be posting a complete Azure ASR setup for Windows Server 2012R2 (VMs) on VMware ESX 6.0. Of course the ASR Wizard did not indicate any issues at the time of running the installer, but definitely got this error nearing completion.